Based on a blend created in the 1980s, this new La Gloria Cubana is made with a Sumatra-seed wrapper grown in the Los Rios province of Ecuador's Quevedo region. The rest consists entirely of Nicaraguan tobacco. The result is a medium bodied smoke with some peppery notes and a certain tanginess owing to the Sumatran wrapper. A real treat which will bring back memories of LGC's early days. 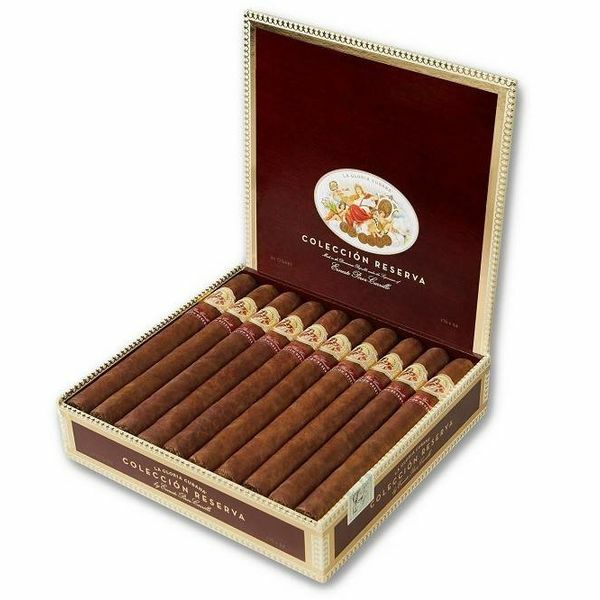 La Gloria Cubana is a cigar is another cigar that shows the split in its history of a cigar company making cigars in Cuba. It began in the late 1800s, and it was making some amazing cigars in Cuba for a few decades. They were known for their flavor and for being a bit fuller than most cigars of the time, back in a time when many cigars were more on the mellow side. Then came the Communist revolution. Most of the tobacco companies operating in Cuba were either destroyed by the Castro-led revolution, or they were absorbed into the communist government, where they would be mismanaged for the next few decades until a huge quality-control issue beginning in the 1980s. La Gloria Cubana, though, had a better idea. The brand was reopened twenty-five years ago, and this blend is made to celebrate the revitalization of the brand name outside of Cuba. It’s the first La Gloria Cubana made by Ernesto Perez-Carrillo in the past decade, and it is a fantastic combination. It starts out with a wrapper from Ecuador, a darker, reddish, and oily Sumatra wrapper grown in the beautiful Ecuadorian soil. Into this is placed a lovingly tended combination of tobaccos, long-leaf and premium tobaccos all, which lend it a medium-full body and flavor with spice and a bit of earthiness to it. If you’re looking for a great cigar, and one of the best that have been made this year, then this is the cigar that you should be looking at.